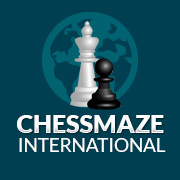 Please note that there is a new online FIDE Trainers’ Seminar. It is going to be held on the www.elitechesstraining.com website on the 24-25th of November. For more details, please find the prospectus in the link. If you have any questions, feel free to contact info@elitechesstraining.com. The World Youth Chess Championships 2018 are taking place in Porto Carras, Halkidiki, Greece from October 20th to 30th. The Welsh representatives are Hugo Fowler in the U16 Open and Ifan Rathbone-Jones in the U14 Open. The boys arrived on the 19th after an early start to catch pre dawn flights. The September 2018 ECU Newsletter can be viewed here. White Knights will be competing in the 2018 European Club Cup in Chalkidiki, Greece 11th – 19th October. The team will consist of Allan Pleasants, Bill Hewitt, Pete Heaven, Jason Garcia, Adam May, Peter Bevan and David Buttell. The event can be followed here. The games can be viewed here. Arkady Dvorkovitch elected new FIDE President! At the FIDE General Assembly held in Batumi, Georgia, Arkady Dvorkovitch was elected as the new FIDE President.